10 full days of sightseeing in a deluxe air-conditioned vehicle. Start the day with a visit to the Independence Hall where the establishment of the State of Israel was declared. Next, drive to Latrun to visit the Armored Corps Memorial Museum also considered to be one of the most diverse tank museums in the world. Continue to Beit Guvrin National Park, declared by UNESCO as a World Heritage Site; explore parts of the archaeological remains and unique cave systems. Proceed to the Ayalon Institute; once a secret underground ammunition factory established by the “Haganah”, the Jewish underground movement before May 1948. Visit the Diaspora Museum. Drive around the main streets of Tel Aviv, center of business and entertainment of Israel. 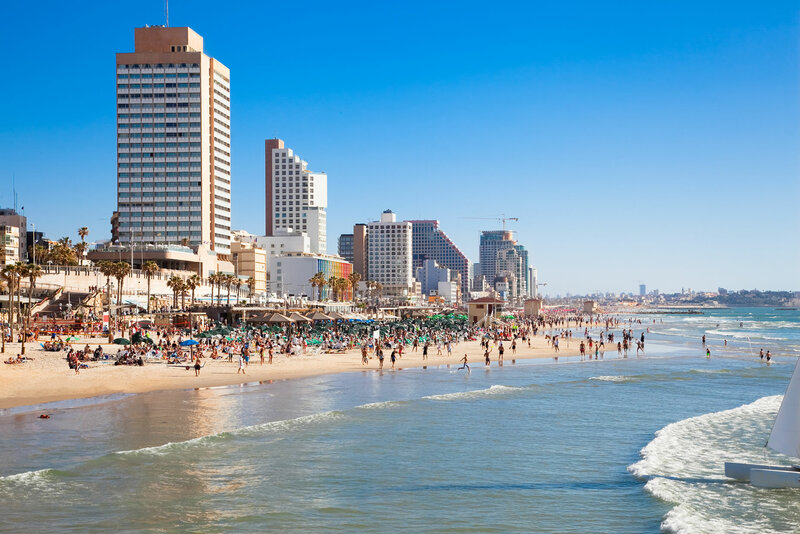 Also known as the “White City” , Tel-Aviv was declared by UNESCO as a World Cultural Heritage Site for its Bauhaus style buildings which you will see. Stop at Rabin Square, location of the assassination of Prime Minister Itzhak Rabin. 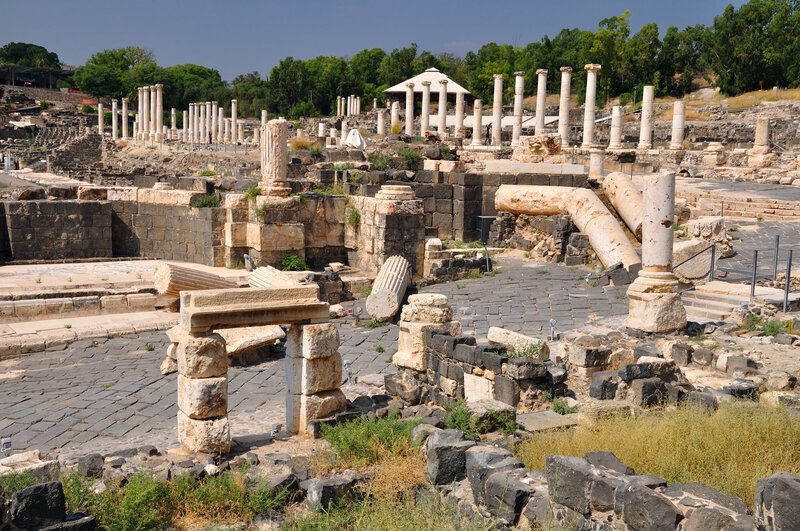 Continue to Old Jaffa, one of the oldest port cities in the world; visit the ancient ruins and walk through the Artists’ Quarter. 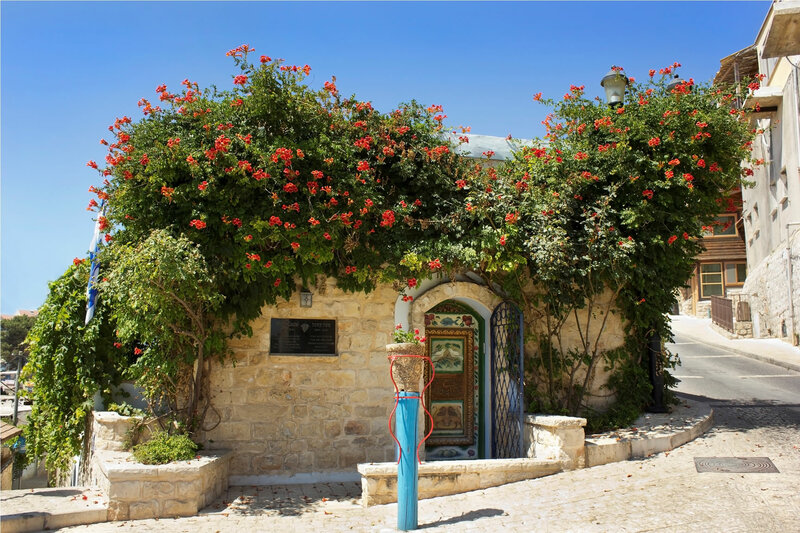 Visit Neve Tzedek, an historic neighborhood of Tel Aviv, built in 1887 and Nahalat Benyamin, the pedestrian mall of the city where you can enjoy live street music, arts, crafts and handmade jewelery. Next, stop is Sheinkin Street, the lively and colorful street specially known for its unique shops, café life and youthful ambiance. Proceed for a magnificient observation point over the city of Kuneitra, and the Syrian border. Proceed to Mount Herzl, the military cemetery, and Yad Vashem the memorial to the Holocaust. 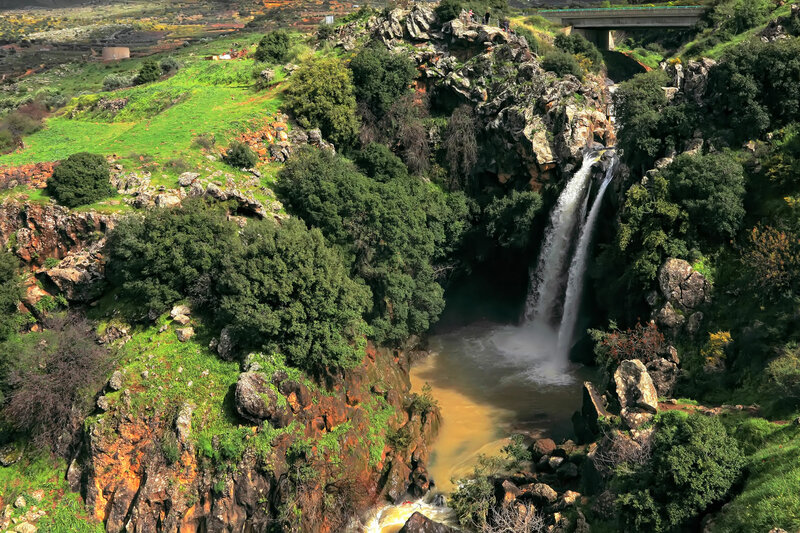 Visit Ammunition Hill, a former Jordanian army stronghold, conquered by the Israeli army in the six day war, and converted into a national memorial site and museum. Travel south through the Negev desert. Stop at Timna Park, a large geological and archaeological park. Marvel at the multi colored rock formations and copper mines, and view the outstanding Solomon’s Pillars. 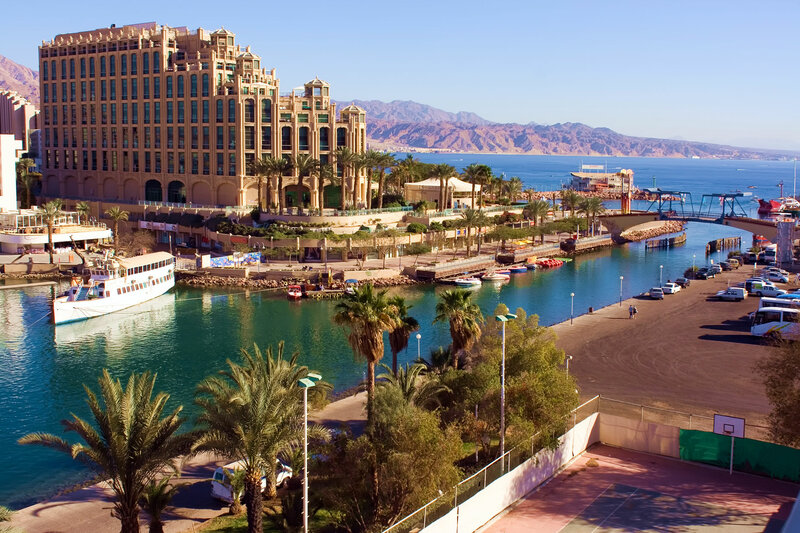 Continue to Eilat, the southernmost resort city on the shores of the Red Sea. Visit the Underwater Observatory marine park, built inside a coral reef and enjoy the opportunity for a close up look at the rich life of the Gulf of Eilat. After assistance with border formalities crossing from Israel to Jordan, drive straight to Petra, the astonishing rose-red city built by the Nabateans (an early Arab tribe). Petra was renowned for its massive architecture, pools, dams and water channels. The visit begins with the possibility of a short horseback ride for about 700 m. until the entrance of the Siq, which is 1.2 km long (walking distance). Petra is famous for its huge monuments such as the treasury, royal tombs, the court, roman theatre, Roman Street, qasser el-bint (Palace of Pharaoh’s daughter) and many other smaller monuments which fascinate visitors. The city itself is almost 45 square km and is considered to be the second wonder of the world. After the visit, time for lunch at a local restaurant. After lunch drive back to the border. On the way, a short visit to Aqaba with the possibility to stop and take a walk around. Transfer to the border at around 18:00 and cross back to Eilat, Israel. Depart Eilat via Mitzpe Ramon; stop to view the Ramon Crater, a geological wonder. Proceed to Sde Boker and see Ben Gurion’s hut and grave overlooking the magnificent Zin valley. Stop for a camel ride and a visit to a Bedouin tent to learn about Bedouin hospitality and enjoy a light lunch.